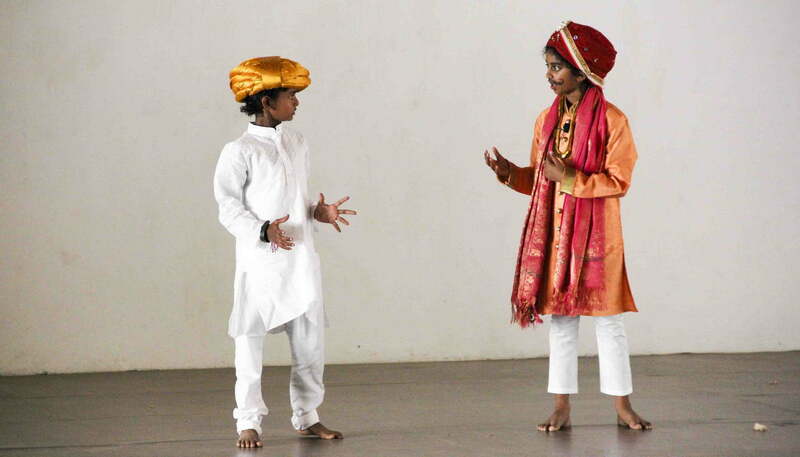 6-Aug: Junior School and Middle School students performed on the occasion of Sanskrit Diwas. 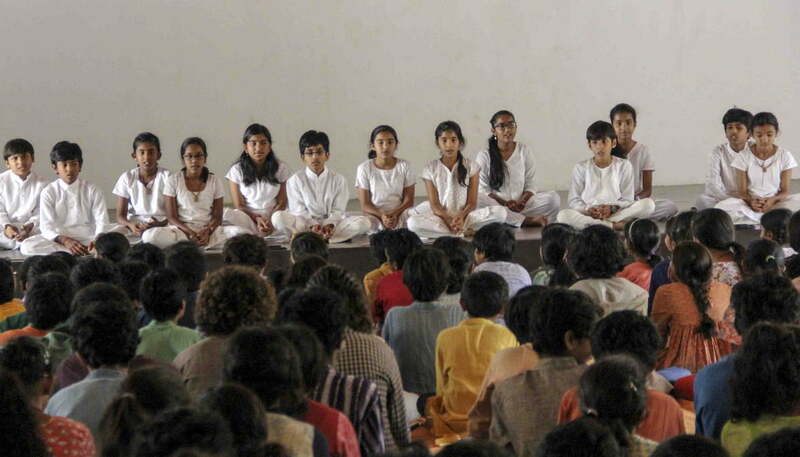 The entire school gathered in the Assembly Hall. 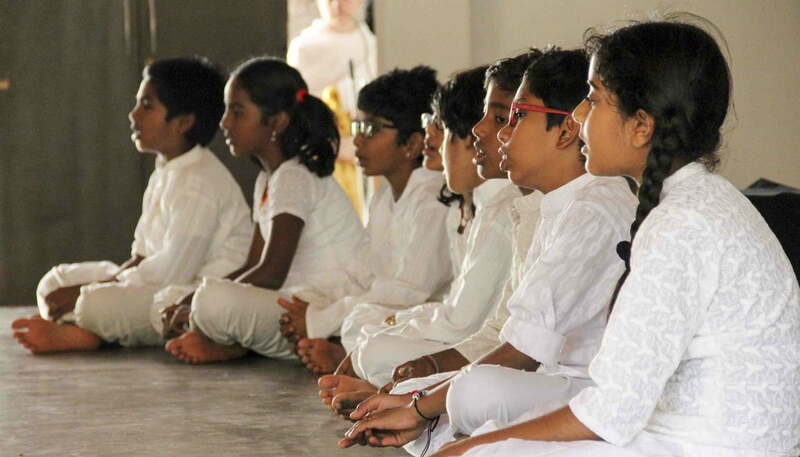 During ancient times, students were initiated into world of knowledge on Shravana Pournami or the first full moon day of the month of Aadi. The three days before and three days after the full moon combined together constituted Sanskrit Sapthaha or Sanskrit week. This year Sapthaha commenced on August 4th and will be ending on August 10th. 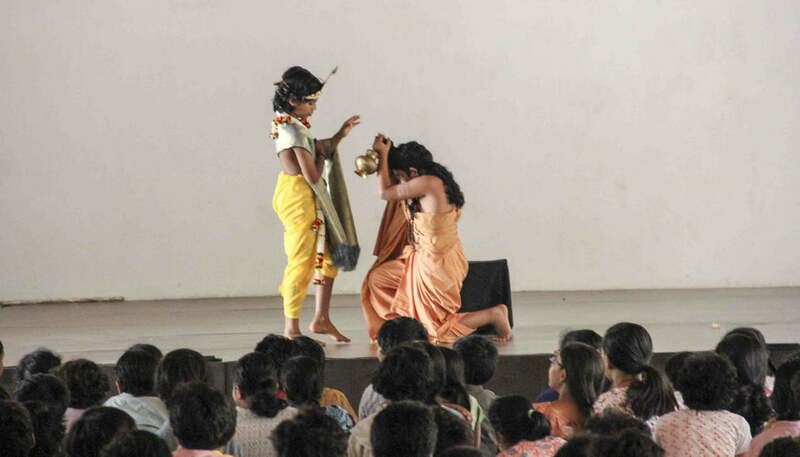 The Middle School Chathraha (students) presented the Guru Paduka Sthothram and a skit on how Lord Krishna destroys Mathanga Maharshi’s Ego. 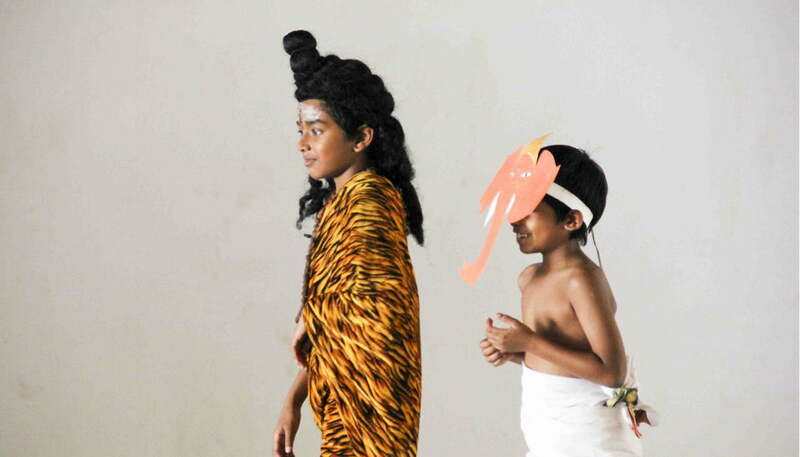 The Junior School Chathraha performed two songs, a skit on how Lord Ganesh vanquishes Kubera’s pride, and concluded the assembly with the Suryashtakam and Shanthi Mantra.